← And The Girl ? How Dare Councillor Fay !? As I mentioned, some Councillors (and Mary Moss and other NAYPIC workers) were raising concerns about child safeguarding within the Greenwich ‘Care’ Home system. You’d have thought that they would have had universal support, right ? 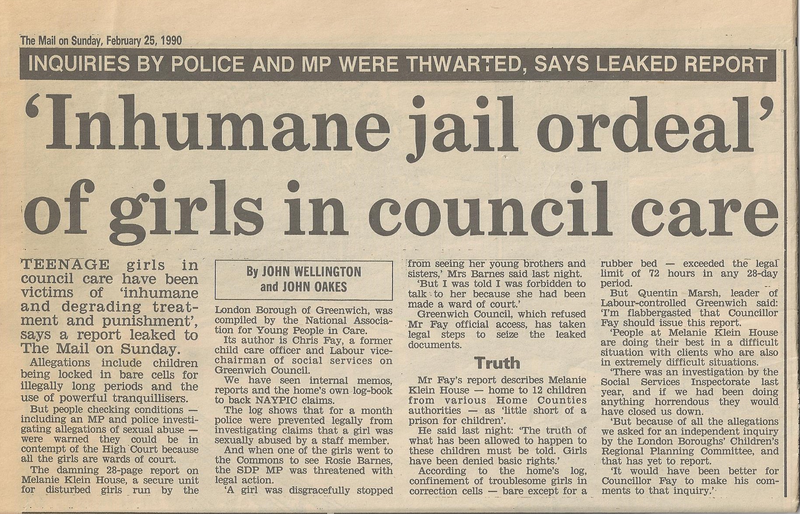 And yet Councillor Quentin Marsh, the then Leader of the Labour-Controlled Greenwich council is on the record, as this report clearly shows, as being outraged. “I’m Flabbergasted that Councillor Fay should issue this report.” Councillor Marsh said. How dare Cllr Fay ? How dare he put the safety of children above petty party politics ?